The electrical Design is a continuing process; it is hard to define when it begins and when it ends. The electrical Design is commonly broken into discrete stages, allowing the electrical Designer to present an integrated design package and the client to commit to proceeding to the next stage. STEP 1: Client Request for electrical design Services, in this step the client must provide the proposed scope and his budget estimate of the project. STEP 2: Planning Meeting between the Client and the consultant for Clarifying project scope, budget and determination of contract delivery method. (for contract delivery methods, please review Course PM-1: Tender Documents Preparation). STEP 3: determination of Site Visit Trip Date to verify the proposed scope, actual project constraints so the design can be done correctly. Consultant to Establish draft Program Submission dates. Consultant to Submit Draft Program for Client preview. Consultant to incorporate comments and submit Final Program to Client. STEP 9: Designer to finalize the Documents and Estimate for beginning of tendering phase. Conceptual designs are outline solutions for a required design. This phase places the greatest demand on the designer in terms of creative thinking, when the designers choose a solution, they must also think about is there a way to achieve the same purpose with a different easier solution. Regulatory Restrictions (e.g., parking, zoning, building codes, or disabled access). Natural Conditions (e.g., topography, climate, considerations, and orientation). Input from Consultants (e.g., landscape architect, geotechnical engineer, civil engineer, etc.). Input from Groups with Jurisdictional Interest (e.g., environmental impact statements). Input from Public Agencies (e.g., zoning, planning, building department, fire department). Input from Groups with Community Interest (e.g., community organizations, historic preservation organizations). Review of client requirements including reliability, redundancy, and efficiency. 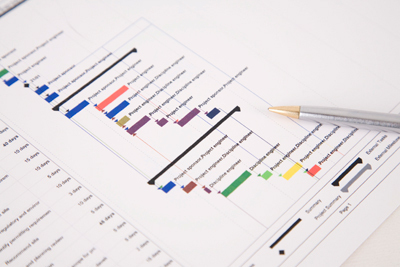 Establish design criteria and develop functional services brief. 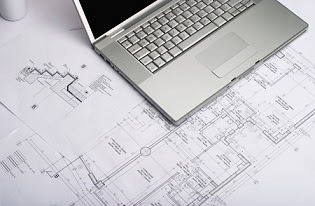 Investigate interface requirements with existing buildings and equipment. Establish hazardous area classification if applicable. Review preliminary fire safety report. Review applicable authority codes and standards. Establish contacts with utility companies. Calculate Total load estimates (W/m2). Assign Main plant space requirements. Review concepts for significant and unusual health and safety risks relevant to the design. Drawings: Sketch drawings (may comprise ‘marked-up’ architectural drawings) including preliminary plant room requirements and services routes. Specifications: no specifications can be produced in this stage. Concept services brief – to establish available system concepts and a broad report investigating available options and recommendations, and definition of system requirements and key assumptions. Design standards to be used. Concept and preliminary design phases are often combined on smaller projects. Tendering at this stage unlikely to result in ‘like for like’ bids. No co-ordination completed at this stage. The preliminary design stage bridges the gap between the conceptual design and the developed design phase. In this task, the overall system configuration is defined, and layouts of the project will provide early project configuration. Client approval of concept services design and budgetary implications. Client approved architectural, structural, and other services concept designs. Long-term Flexibility Plan for Growth and Adaptive Reuse. Cost and Schedule Implications of Design Choices. Refinement of Design Ideas (based on natural conditions in order to optimize building performance). Assess supply utility requirements with local authorities. Initial sizing of major plant (transformers, generators, and main switchboards. Load estimates based on major plant requirements plus W/m2 for general areas. Identification of major service routes. Location and capacity of main load centers. General area power distribution methodology (use of perimeter trunking, etc.). Develop services route requirements, both horizontal and vertical and space co-ordination with other trades. Define interface requirements with other services. Identification of specific earthing and surge protection requirements. Identify any special health and safety risks that may present in construction or design and consider alternative, lower risk, options. Review preliminary design for significant and unusual health and safety risks the design may present during construction and maintenance. Single line diagram showing major plant and major distribution (breakers/cables unsized). Layout drawings indicating plant room locations, risers and primary service routes. Typical area lighting (reflected ceiling plan) and power layouts or schedules. Preliminary equipment schedules for major plant. Design features (options) report (with agreed option to take to developed design). Preliminary electrical equipment heat loads. Preliminary building services interface matrix. Highlight ‘significant and unusual’ buildability and health and safety issues. Cost estimates at this stage generally cannot be on a full elemental basis, as final distribution is not well defined. Systems could be priced by vendors at this stage but unlikely to get like for like comparison. In the next Article, I will continue explaining other electrical design stages. So, keep following.